← Love Hurts (A Redcliffe Novel) – Out Now! Don’t be so defensive. If you never share anything, then people will avoid you. If you wish to network you need to communicate. See the beauty around you and not the grotesque. You are a cog in a very important machine, but do not belittle your current position, for it is vital. You are young and naïve but can learn from an older person of authority whom you respect. Do not be critical of yourself. The wealth is there for the taking if you find the right benefactor. There are several choices to be made, and each at the right time on your life journey. You will know when these opportunities arrive. 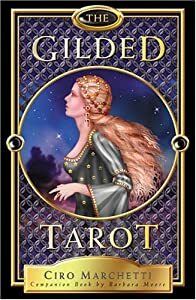 This entry was posted in Random Musings, Spooky Stuff and tagged #witchywednesday, Cartomancy, catherine green, daily oracle card reading, daily tarot reading, Divination, Gilded Tarot, Hathor, Nine of Coins, Occult, pagan, pagan blogger, Pentacle, Religion and Spirituality, SpookyMrsGreen, Tarot, the pagan housewife, witchy Wednesday. Bookmark the permalink.